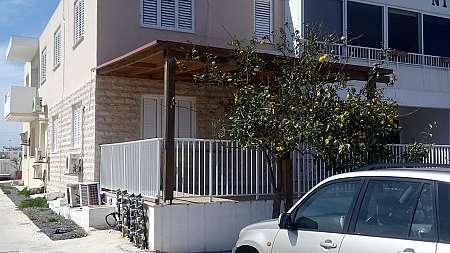 This is a 1 bedroom apartment in a quiet neighbourhood in Paralimni with title deeds. 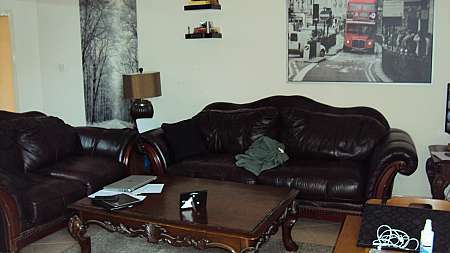 It is within walking distance to many amenities and bus stations. It is only a 3 minute drive to the center of Paralimni and the beaches of Kapparis and Ayia Triada and a 10 minute drive from Protaras. It comes fully furnished, with all electrical appliances, air condition, covered parking and with sea view from the balcony. 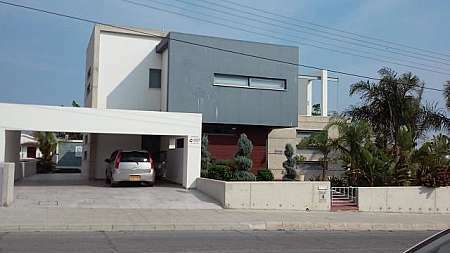 Beautiful modern detached house for rent at the outskirts of Aradhippou village. It consists of 4 bdrms upstairs, 2 with ensuite shower-WC, the master bdrm with ensuite shower, jacuzzi, WC, main bathroom and downstairs with large kitchen with sitting room, extra kitchenette, living room, extra bdrm/office, guest toilet. Fully A/C and C/h. Modern furniture. Large swimming pool, covered parking, garden, made's room outside. 3 bdrm detached modern house in one of the best areas of Larnaca, at Krassa area, almost ready, with extra studio room on the basement which can be used as a guest room or for maid. 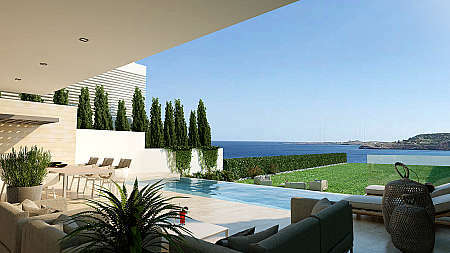 Luxury finishes, provision for C/H, A/C, swimming pool. Covered area except basement 270sqm, on one plot of land. A fantastic villa ,in a private residential location,in the much sought after, of Larnaca.This individual,imaginatively home is tucked away in one of the most exclusive locations of Larnaca.The house itself, comprises of 3 large bedrooms,one ensuite,large living, dining areas,beautiful verandas with a view to the swimming pool,extra maids room ,covered double parking.A beautiful landscaped garden,on a plot of land of 1200 sqm.This stunning property,is ideal for professional couples and families that seek the perfect home. Mansion 7 Bedroom! This is a very unique offer on the property market in Larnaca. This mansion has three floors, a magnificent garden and a pool. The Landscape design of this big territory is in pure harmony with the external design of the house. The unique design of the rooms and expensive finishesmakes this mansion utterly comfortable and luxurious. Open and covered verandas and terraces, a fireplace, large bedrooms and bathrooms decorated with natural stone will help you to enjoy every single minute of living in this exceptional house. An exceptional opportunity to acquire this unique property. Excellent location just off Finikoudes Promenade Larnacas prime location. 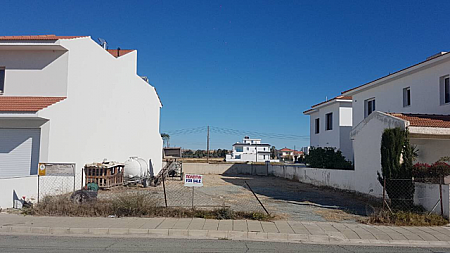 Situated between the beach and the main shopping area of Larnaca this property could be developed into a City Boutigue Hotel residential apartments for sale. On part of the land there is also a listed house that needs renovation and many incentives and extra benefits are given by the government once renovated. Right on the beach on the main road from Larnaca to Dhekelia near the Palm Beach Hotel. 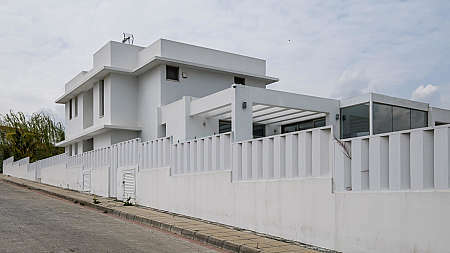 This unique Larnaca property is now available for sale. Suitable for development of a five star Hotel,tourist village or luxury residential villas for sale. 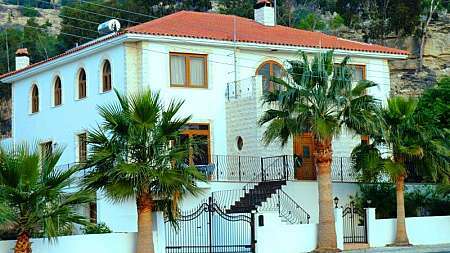 Exceptional investment opportunity-this property qualifies for application for the Cyprus citizenship Passport. 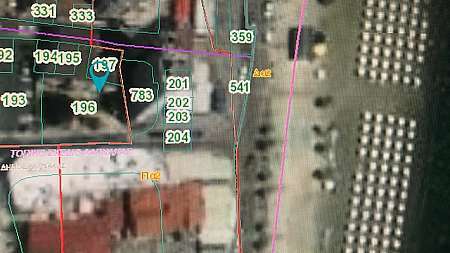 A commercial plot on Timayia avenue,next to green.SUITABLE FOR OFFICES SHOWROOMS. Building coefficiency 120%. 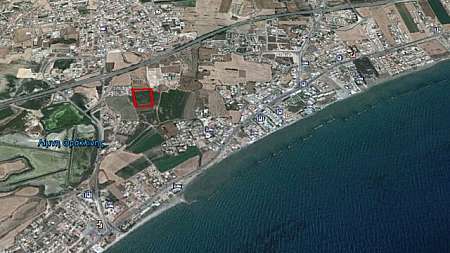 Another plot of 556 sqm,adjacent to it ,it is also available for sale,for 350000 euros. 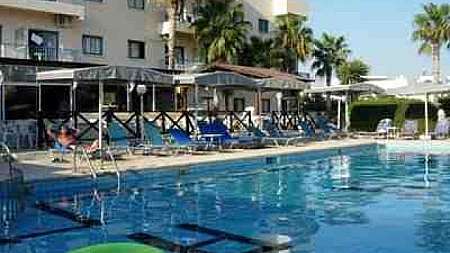 This Tourist Complex is on the main beach road of Larnaca/Dhekelia, 150 meters approximately from the beach. 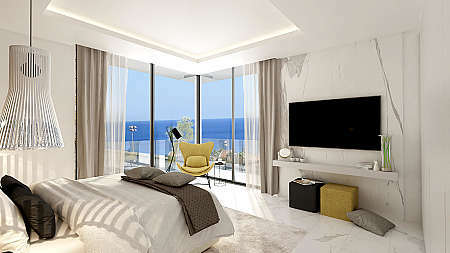 It is 15 minutes from the Larnaca International Airport, 3 minutes from the Larnaca/Nicosia Motorway, 30 minutes from Nicosia and 45 minutes from Limassol. A map is available on our brochure. 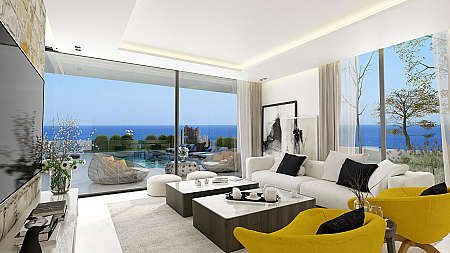 The Tourist Complex is built on the beach road Larnaca/Dekelia with an area of 4,070 sq.mts. Corner shop, located on famous "Finikoudes" beach in the center of Larnaca. 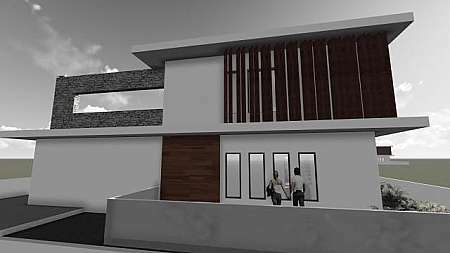 183sqm covered area(ground floor) plus 113sqm attic. It could be used also as a restaurant with amazing sea view. Monthly rent 6,500 euro. 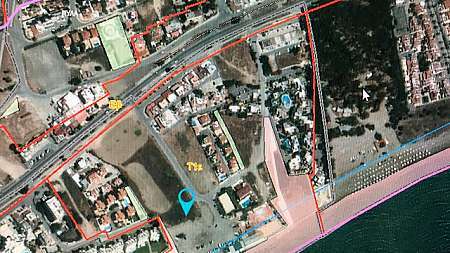 The area outside belongs to Larnaca municipality, it is 100sqm and it can be rented for 600/month. 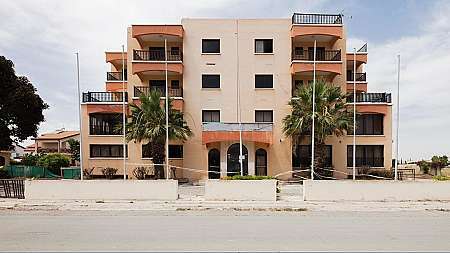 The complex consists of 27 one bedroom holiday apartments which are approximately 42m2 each. The apartments have a bathroom and a kitchenette and living area. 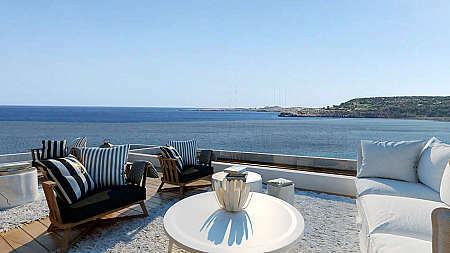 They are all furnished with aircondition and a balcony, 15 of which face the sea and 12 of which have mountain views. The main building is approximately 2000m2 excluding the outdoor bar and outdoor change rooms and toilets. The plot size is 7 skales (approximately 10000 m2) It has parking place, swimming-pool, Large gardens area, outdoor bar, and more gardens. Indoors it has a kitchen, restaurant and cafeteria area as well as a reception area. In the basement it has public toilets, a gym, a sauna and lots of storage area. Situated 150 meters from training football fields, which are ideal for teams who wish to train The Hotel has all the necessary running licences. Office in excellent condition, on the Limassol rd. A/C, underground parking for 1 car. 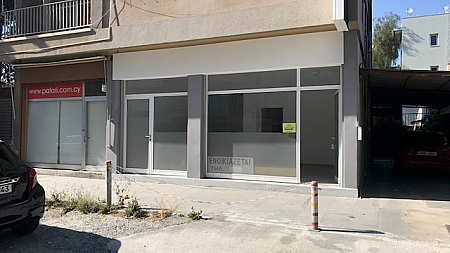 Shop for rent off Makarios Avenue, for 400 euros per month. 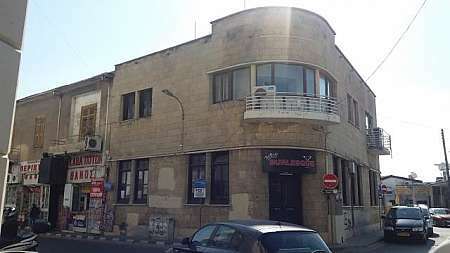 Listed building for rent in the Larnaca Centre, just a few meters away from the Finikoudes beach. 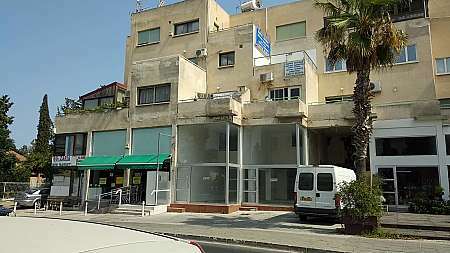 2 shops adjoining together of total 66sqm, situated near A.Academy. 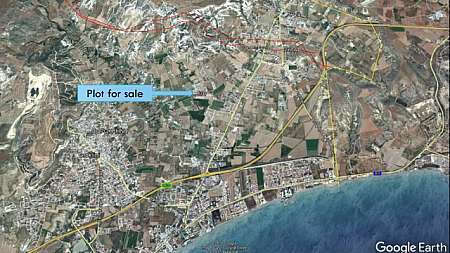 Land for sale in Agios Tychonas, Limassol, 9,189 sq.m. 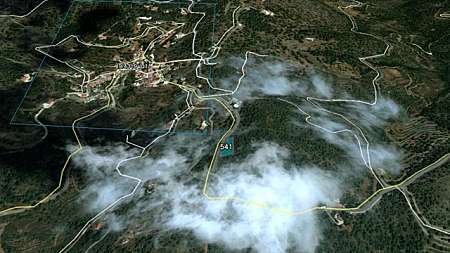 Plot for sale in Livadhia, 360sq.m.  Land for Sale of 962sqm size, 60% permit to build situated in the beautiful area of Vavatsinia.